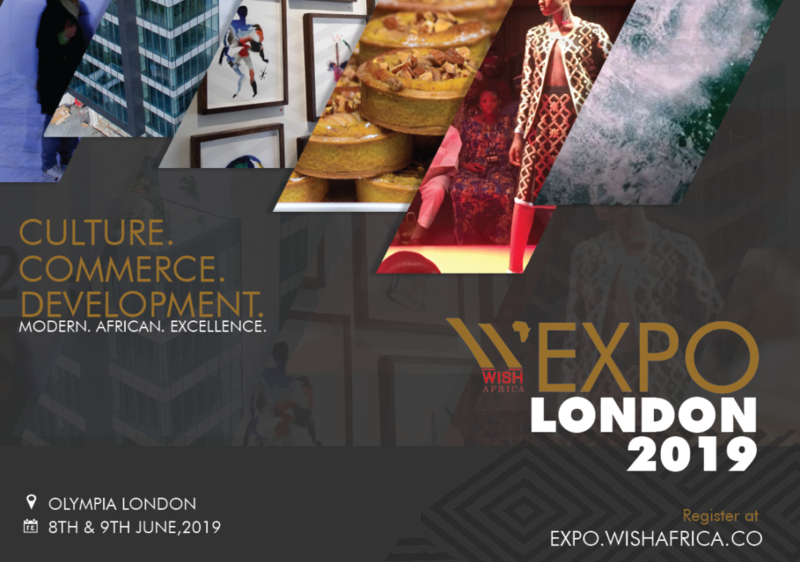 WISH Africa the media and marketing platform focused on culture, commerce and development in Africa with the mission of promoting a positive image of Africa and Africans on the continent and in the diaspora, in a bid to improve cultural understanding and generate both intra-African and intercontinental commerce will host its first expo at London’s Kensington Olympia. Exploring six sectors – art and design, fashion, real estate and architecture, travel, food and drink, and technology – the expo will showcase a globalized and modern African culture and challenge assumptions about the continent. Across Saturday 8 and Sunday 9 June 2019, the main expo hall will feature cultural installations, commercial sales booths and panel discussions led by renowned figures from each field, including Yinka Shonibare MBE and representatives from Condé Nast and Tesla Energy. Further names will be announced in the New Year. There will also be an evening event for VIPs on Friday 7 June. The expo will focus on four countries from four corners of the African continent: Morocco (representing the North), Kenya (representing the East), Nigeria (representing the West) and South Africa (representing the South). WISH Africa is a social enterprise in the form of a media and marketing platform focused on culture, commerce and development in Africa. Its mission is to promote a more positive image of Africa and Africans on the continent and in the diaspora, in order to improve cultural understanding and generate both intra-African and intercontinental commerce. Following its London run the expo will travel to Morocco in 2020, followed by Nigeria in 2021, Kenya in 2022 and South Africa in 2023.